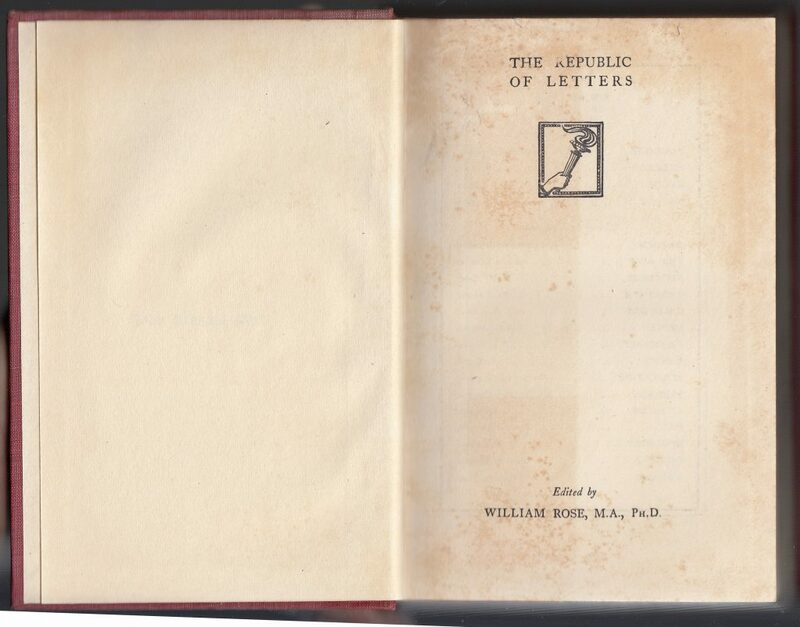 The Republic of Letters series, edited by William Rose, was published between 1925 and 1930 by Routledge in the UK and Dutton in the US. The series consisted of 10 biographies of poets, dramatists, and novelists. 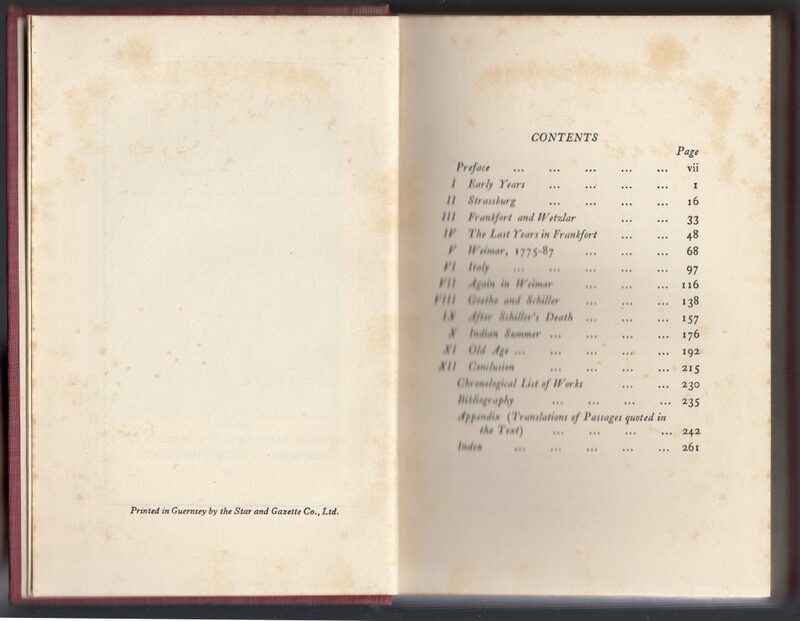 11 more titles were announced, but not published. The jacket below is from J.G. 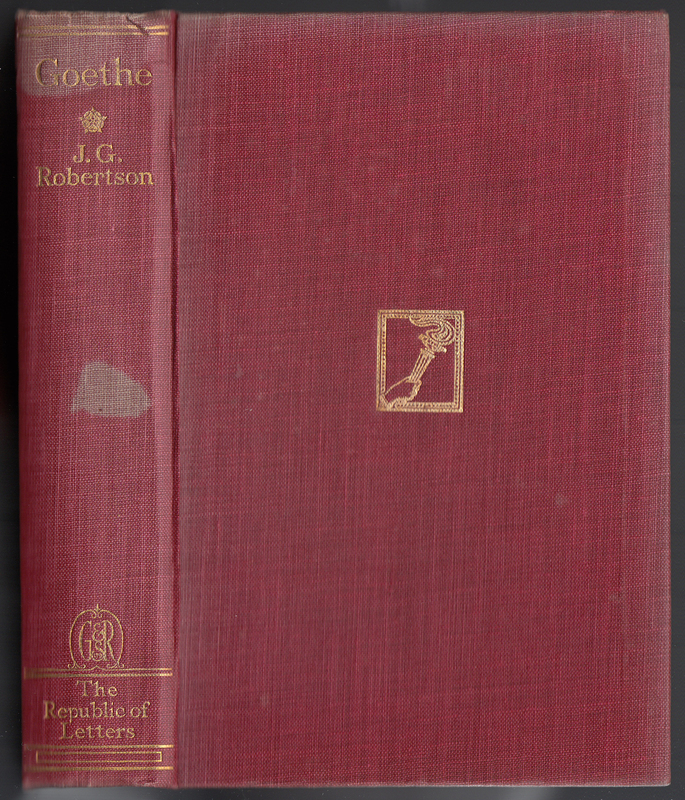 Robertson’s Goethe published in 1927. Jackets are common to the series. 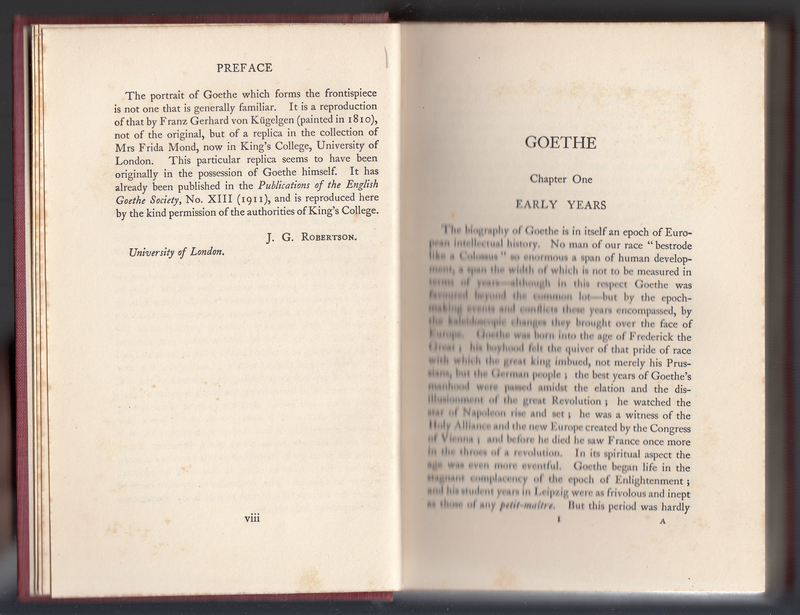 The spine includes the series name at the bottom, and above it the colophon for Routledge. The jacket front also includes the series name along with the author and title and what may be a series colophon of a hand with a torch. 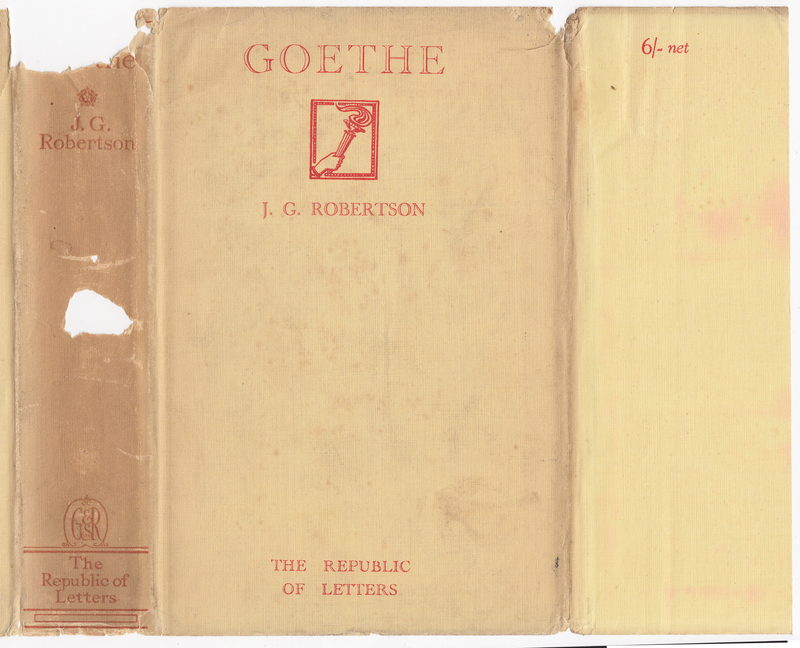 The 6/- net price, printed alone on the front jacket flap, indicates this copy was sold in the UK. I have not seen a Dutton jacket for this series. 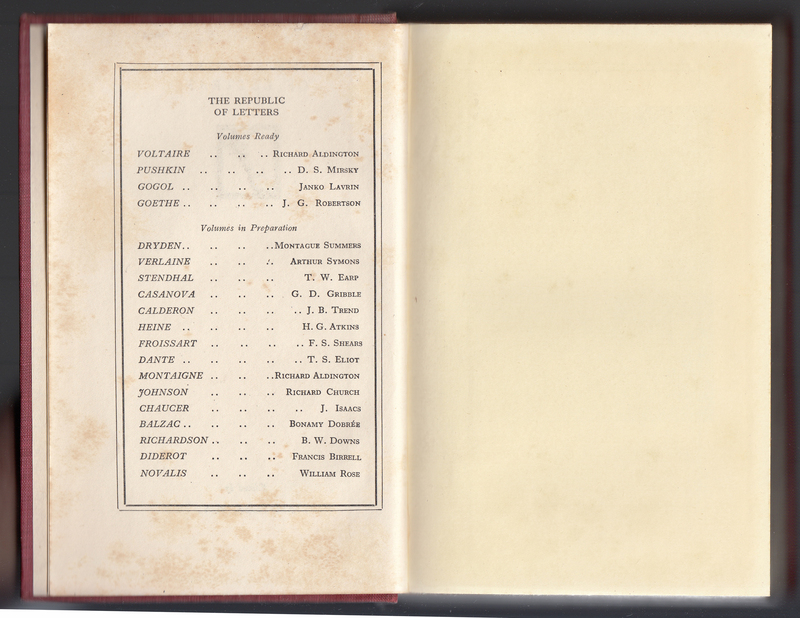 The back of the jacket lists three titles in the series and also includes the series name, editor, and price. 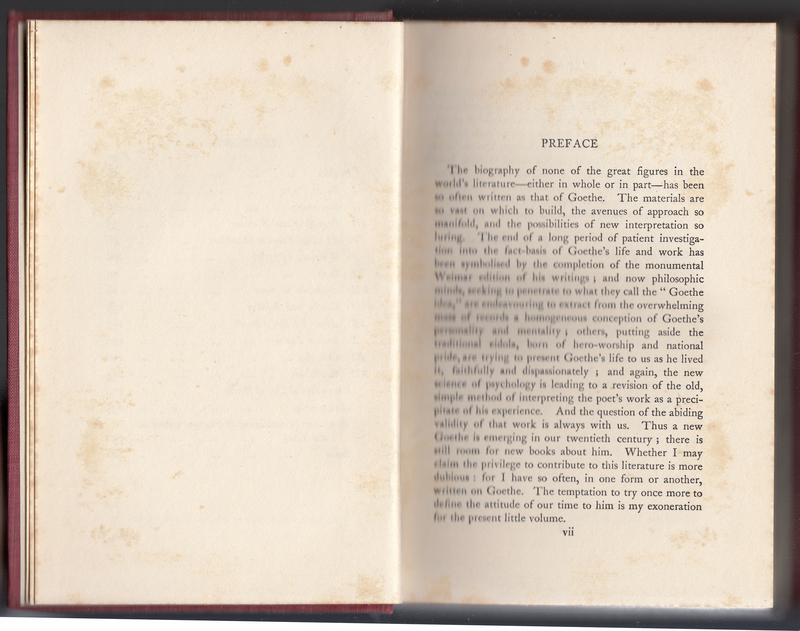 Bindings are cloth, this one in red, with the same colophon that is on the front of the jacket. The series name is included on the half-title page along with the series editor, but not the name nor author of the book. 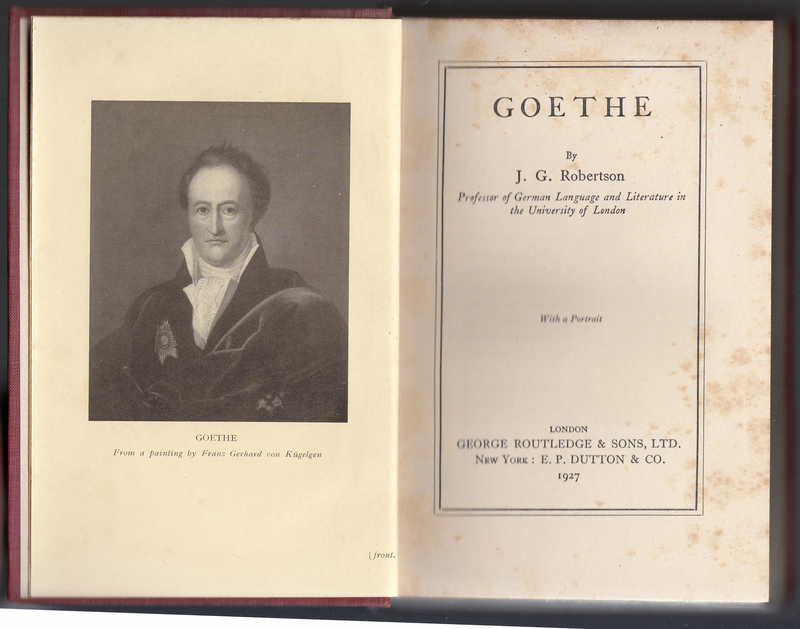 A portrait of Goethe faces the title page. 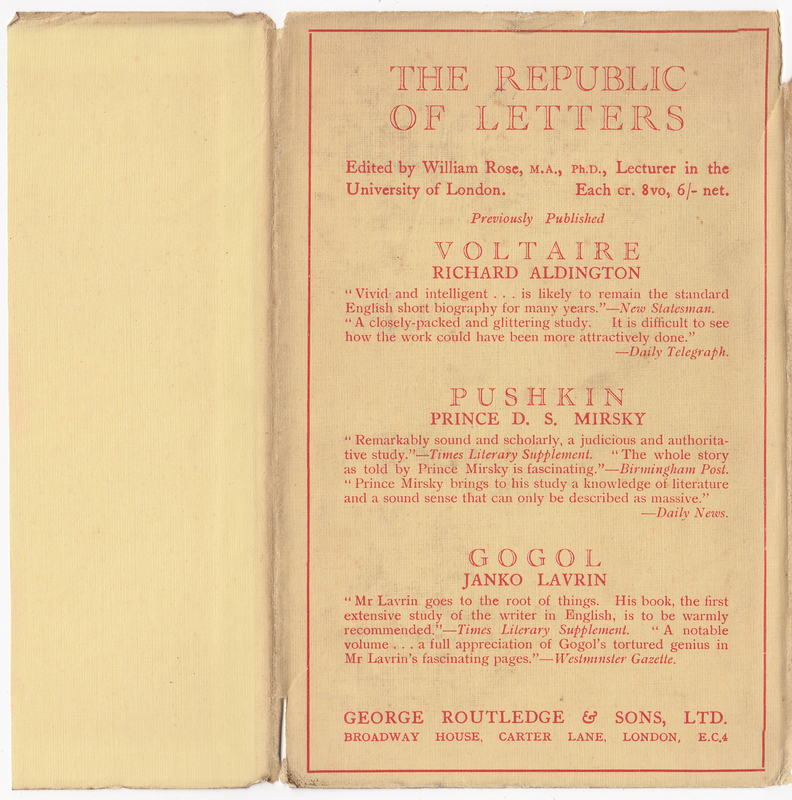 The title page includes both the Routledge and Dutton imprint, as well as the date of publication.